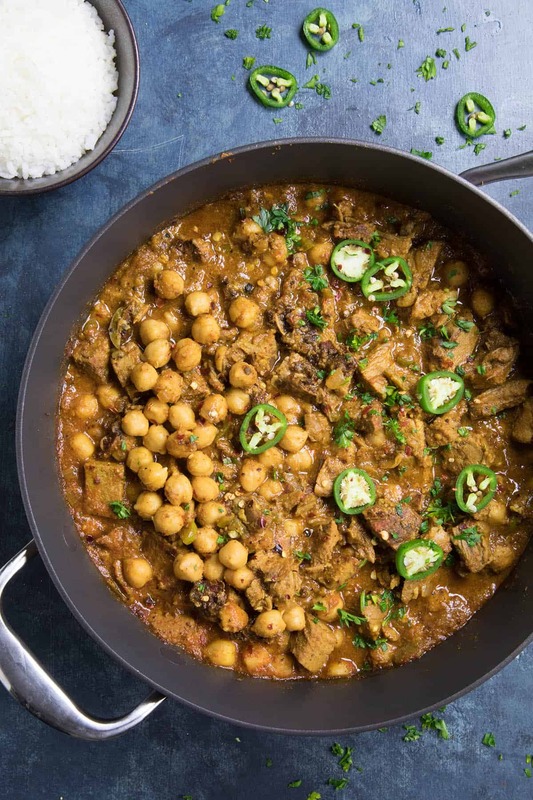 A recipe for the popular Indian curry dish, this spicy, tangy lamb Vindaloo curry is quick and easy to make. My version brings a wonderful level of heat, though you can easily adjust the spiciness to your preference. Lamb Vindaloo is on the menu tonight, my friends, so drag up a chair and get those taste buds ready. 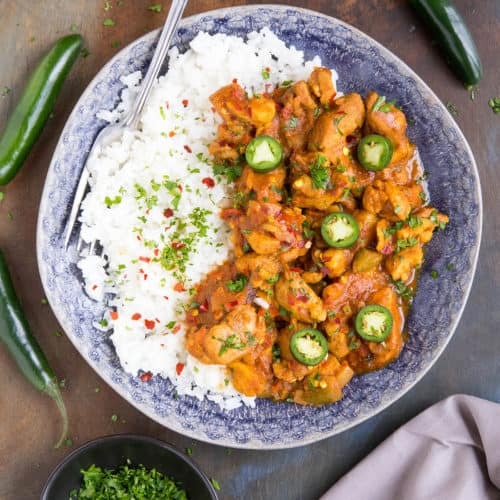 If you’re a spicy food lover like I am, you’re about to experience a bit of bliss, because when it comes to spicy flavor with a nice bit of heat, a good Vindaloo curry delivers like no other. This dish has everything a fiery food lover could want – Flavor, Heat, Spiciness, Pure Satisfaction. And massive BONUS for this guy, who is a slow cook in the kitchen – it’s super EASY to make! 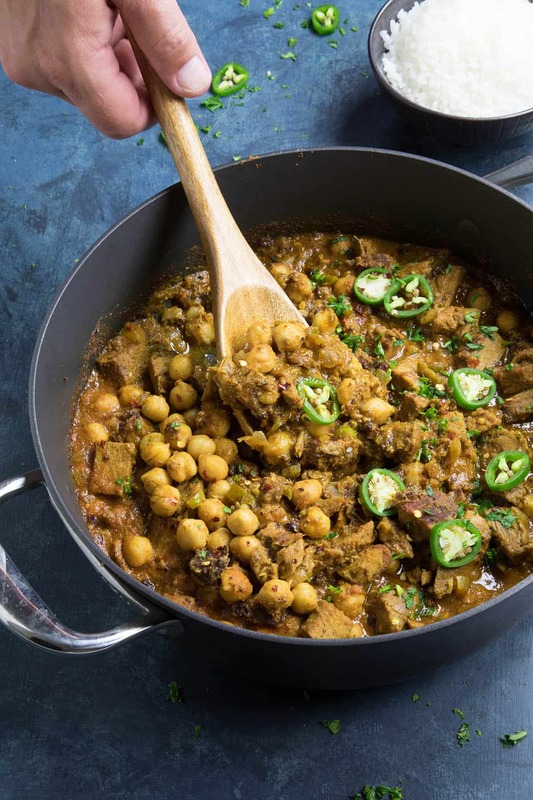 “Vindaloo” is a popular Indian curry dish that calls for meat to be marinated in a highly flavorful spicy mixture with vinegar, then quickly cooked up when you’re ready to eat. 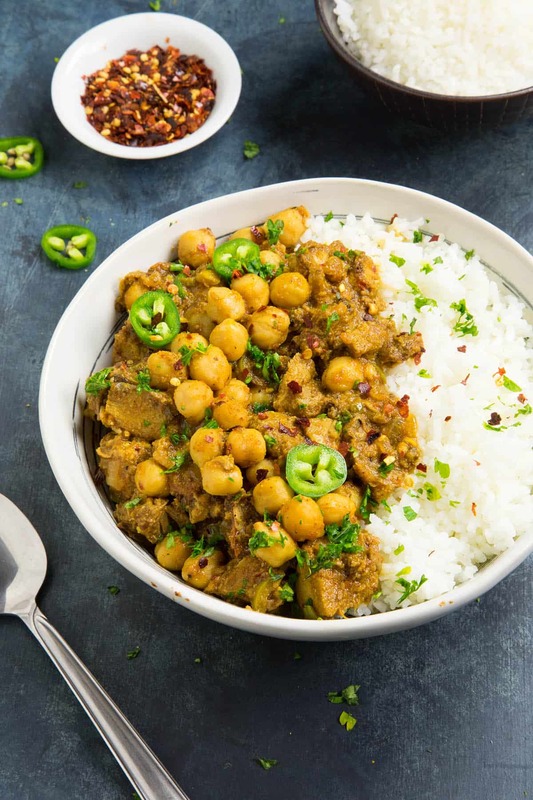 It is very often made with pork, though you can use any meat you’d like – pork, goat, beef, chicken (see my Chicken Vindaloo Recipe), even potato and/or chickpeas for a vegetarian version. “Vindaloo” originally was a meal of meat marinaded in wine and garlic. It comes from the Portuguese dish, “carne de vinha d’alhos, which translates to “meat in garlic wine marinade”. 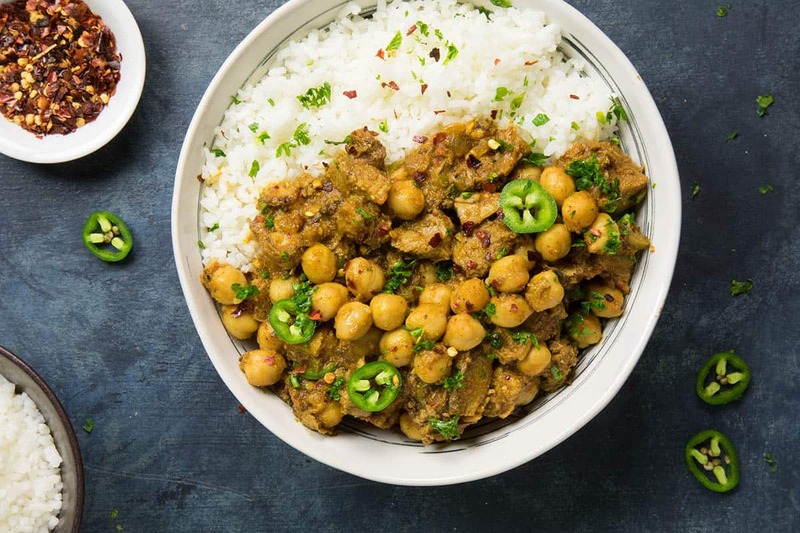 Portuguese sailors brought it to India, where the locals adopted it and transformed it with local ingredients, including the addition of dried chili peppers and other spices. As Vindaloo spread to other regions, it continued to change as locals adopted new spices. Even though it has transformed in its travels around the world, most styles still offer that spice level and flavor we all crave. 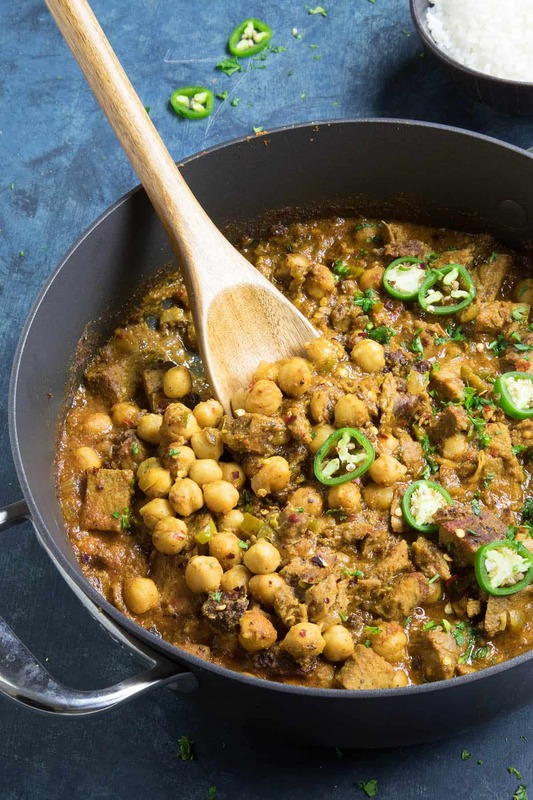 Let’s talk about how we make this Lamb Vindaloo, shall we? 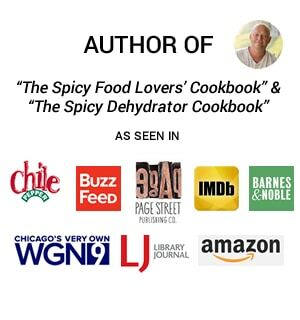 The marinade is a very important part of this dish, as it imparts an immense amount of flavor that all of us spicy food lovers crave. Vinegar is a MUST, as is garlic. And then we add in all of our pungent spices to make this dish top notch, including paprika, ginger, coriander, turmeric, mustard powder, cumin, cinnamon, and a healthy dose of spicy red chili flakes. 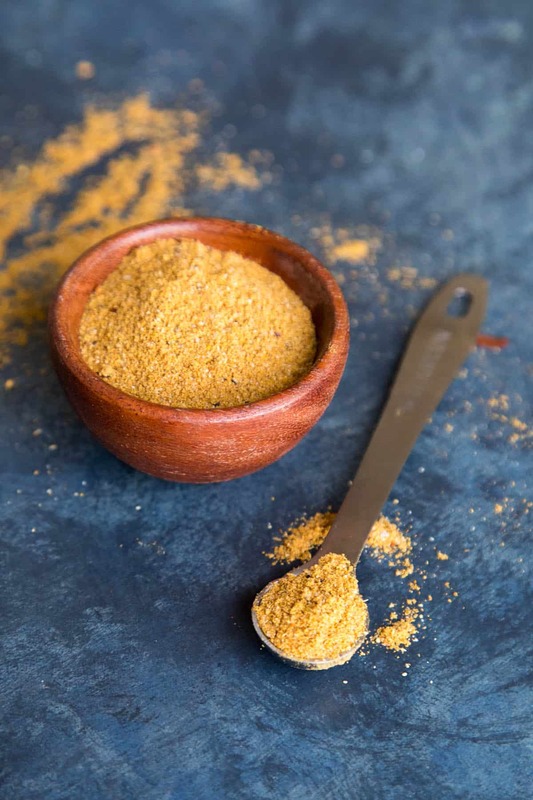 You can use this blend to make your own Vindaloo Curry Seasoning to use anytime you’d like. 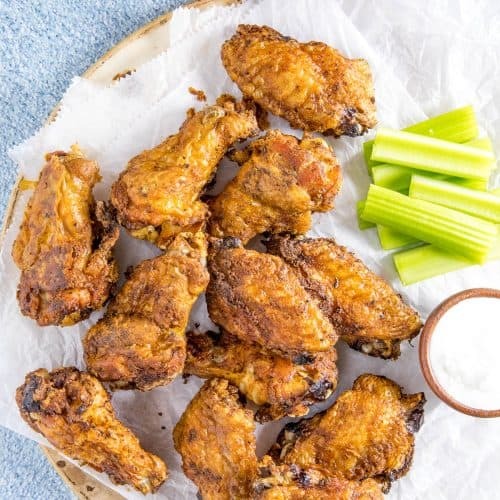 I like to add in a bit of ghost pepper powder for this recipe, because I LOVE it very spicy, but feel free to omit if ghost peppers are too hot for you. If you’re looking to up the heat just a little, add in spicy red chili flakes or up the cayenne powder. Just go with the heat level you’re comfortable with. Whisk all of the seasonings together with the vinegar, then pour it over the lamb in a bowl, or use a sealable plastic bag. Refrigerate the lamb for at least 1 hour, though you’ll get better results if you let it marinade overnight. 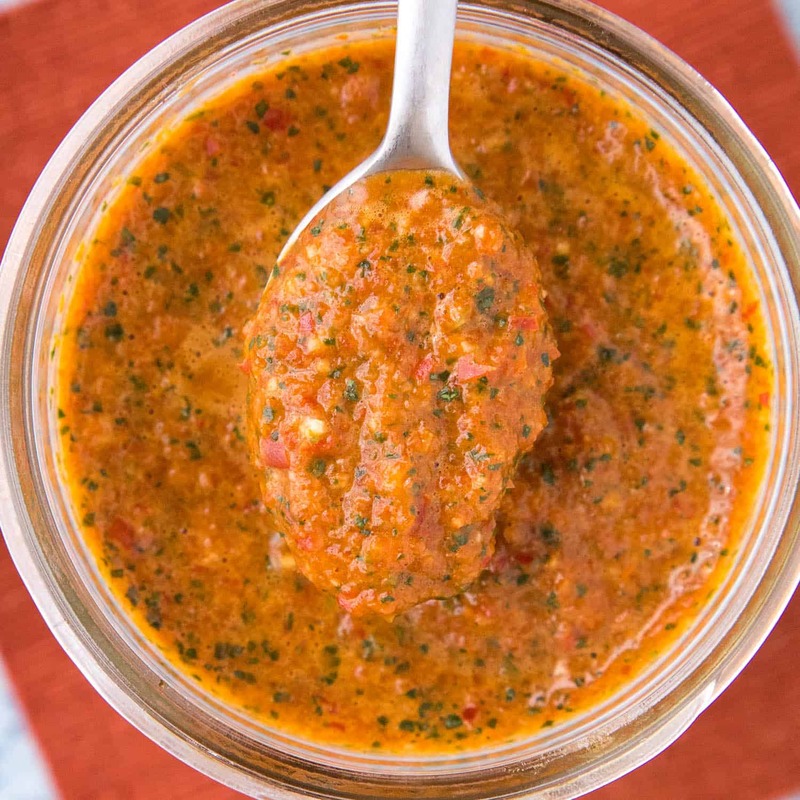 More marinade time = more flavor. I like to whip this recipe together the night before and let it sit in the refrigerator until dinner time the next evening. It makes for a super quick and easy meal, though yeah, it does require a little bit of forethought. 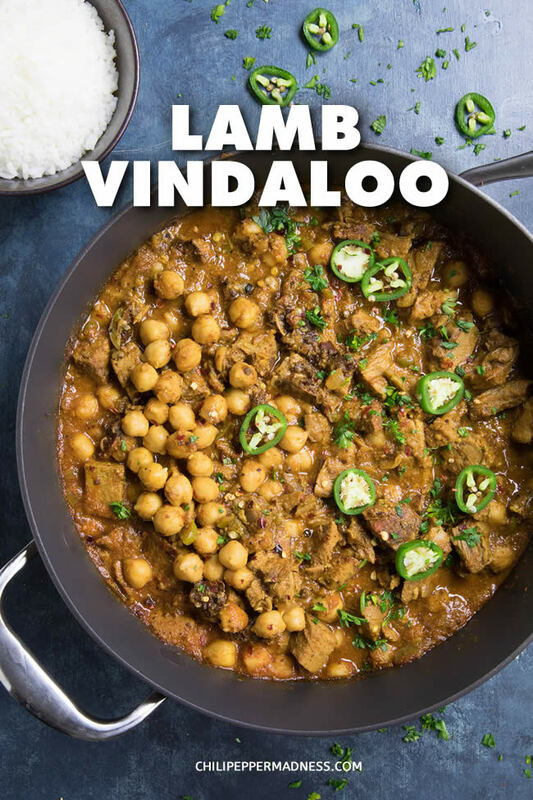 Making Lamb Vindaloo is simple once your marinade is done. First, heat some olive oil in a large pan to medium heat. Next, cook down some onion and peppers a few minutes to soften them up. I used spicy serrano peppers here, though you can use milder peppers for a version with less heat. 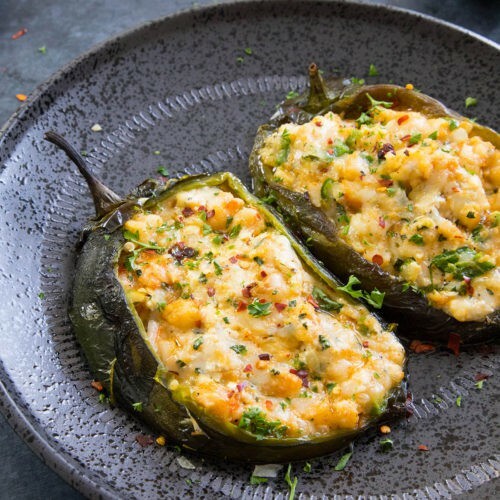 Jalapeno peppers are always a great option. Next, add the marinated lamb and stir. Cook it for about 5 minutes, stirring here and there. Add in the tomato paste and give it a quick stir, along with about 1/2 cup of water or chicken broth to form a sauce. Let the whole pan simmer about 20 minutes, until the lamb cooks through and the flavors develop. You can let it simmer longer if you’d like. If the sauce becomes too thick, just stir in a bit more water or broth until it reaches the consistency you prefer. Serve it up over rice with some fresh herbs and extra spicy chili flakes. Spice it up, my friends! Some cooks like to include a bit of sugar in the seasoning blend if you’d like, either white or brown sugar, though I didn’t use them this time. Other popular ingredients with Vindaloo seasonings are ground black pepper or ground cloves, so feel free to include those if you’d like. You can also adjust the seasonings ratios to your own preference. If it gets TOO spicy, serve it alongside this Traditional Indian Raita recipe, which is made from spiced yogurt. It has a nice cooling effect. You CAN also make this recipe with pre-cooked lamb. I’ve made with this chopped smoked lamb leg and it was delicious. Just don’t do the marinade for long. Mix the marinade ingredients, toss it with the chopped lamb, and proceed with the recipe. It’s super tasty! It really is an amazing dish. Give it a try and let me know how you like it. How spicy did you make yours? Send pics! I’d love to see them. Till next time!!! 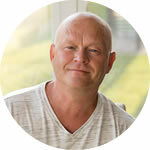 — Mike H.
Vindaloo is my new favorite curry. 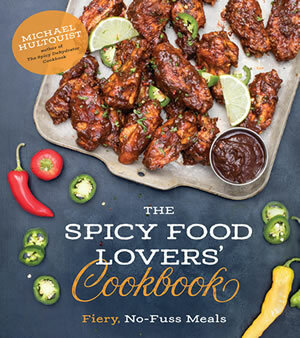 I love both this one and the Chicken Vindaloo Mike makes. We had a dinner party this weekend and I asked him to make it again for dinner, and everyone loved it. Add the lamb to a large bowl. Mix your marinade by whisking together the vinegar and all of the seasonings. Pour it over the lamb and rub it into the meat. Cover and refrigerate for at least 1 hour. Longer is better, such as overnight. Heat a large pan to medium heat and add the olive oil. Add the onion and peppers and cook about 4-5 minutes, until they soften up. Add the lamb and cook another 5 minutes to nicely brown up the pieces. Add the tomato paste and cook another minute, stirring. Add the cooked chickpeas and ½ cup of water (or chicken broth for extra flavor), then stir until the mixture thins out and becomes a sauce. You can add more water if needed. Reduce the heat and let it simmer for 20 minutes, until the lamb is cooked through. Serve as is or over rice with fresh herbs and sprinkled chili flakes. Make it rain! 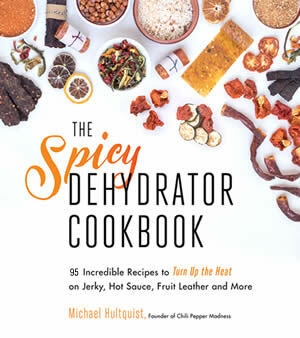 NOTES: This is definitely a hot and spicy dish, though you can dial back the heat by using milder chili peppers and going easy on the red chili flakes. 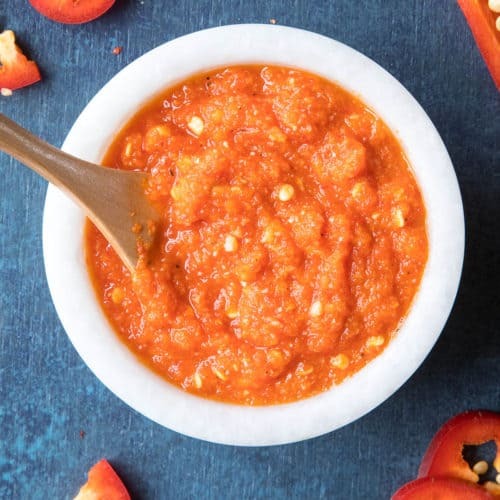 If you're looking for an even HOTTER version, go with habanero peppers, or fiery ghost peppers, which will REALLY heat things up. My own recipe uses garam masala, fenugreek seeds and fresh curry leaves, but I wanted to taste yours. Rather than olive oil, I prefer to used ghee, for its hazelnut flavor. I used my own smoked ghost pepper powder for the marinade and a fresh serrano. 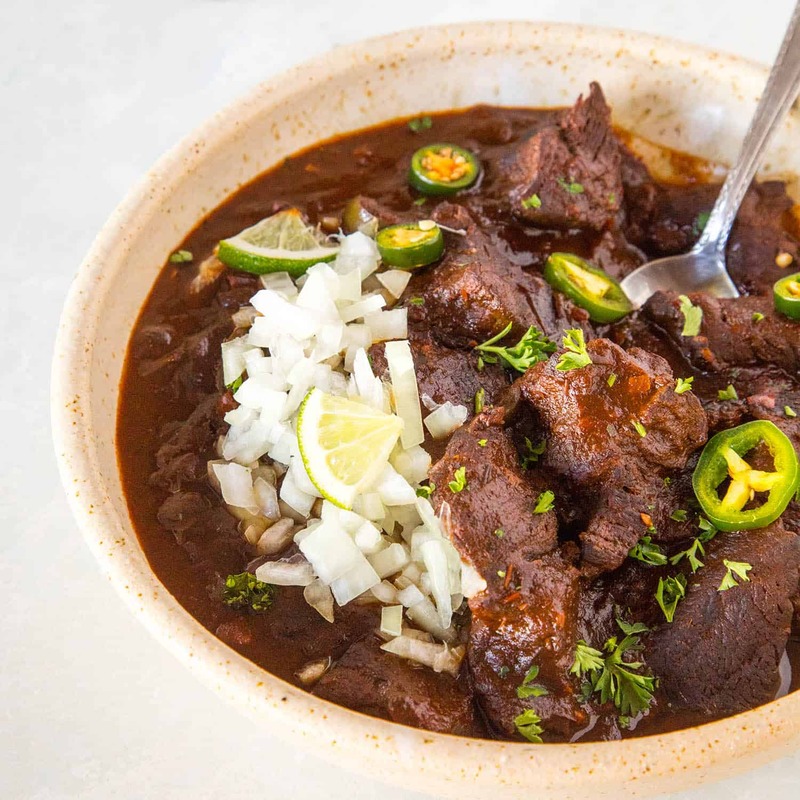 This is a great recipe, Mike, I love Vindaloo and yours is awesome, spicy and full of flavors! Thanks, Jeremie. I’ll have to try yours as well!